Do you remember when you and your family would decide to sit down on your veranda to catch up and have a good time just for it to be ruined by a sudden bout of rain? Thanks to our unpredictable weather, it is nearly a universal experience in the UK. Well, we have the solution! 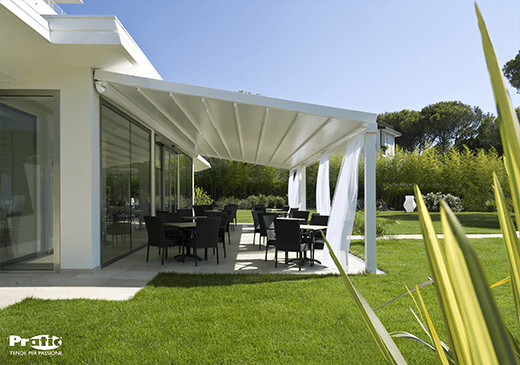 Shades Awnings’ mission is to help you, your family and friends gather in your garden, veranda or patio without being bothered by the elements. We do that by providing high-quality house pergolas with stable and sturdy, windproof, and waterproof PVC covers. 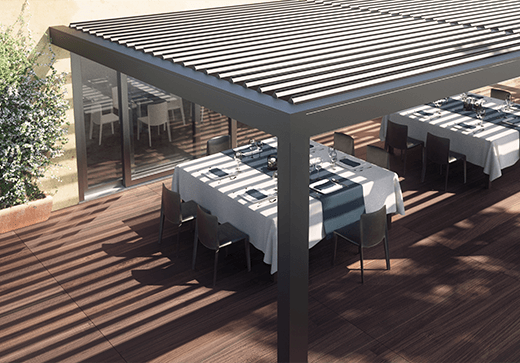 From now on, whether it is raining outside, there’s strong sunshine or the wind is a nuisance, our pergolas will create a moderate, pleasing, and welcoming environment that will ensure that you have the best of times. Because we believe you and your family deserve the best, we are adamant on giving you the best product for the best value. Since we opened our doors more than 10 years ago, our fundamental belief has been that providing bespoke awnings, canopies, and pergolas created with the best materials and expert craftsmanship is a successful business practice, and the most valuable thing in business is a happy customer. This practice has propelled us from humble beginnings to the top, operating in most of England, and we are not about to change our beliefs anytime soon. Contact us, and we’ll be happy to help you and bring the best quality house pergola right to you. but what are the specifics? They have a robust aluminum frame bolstered with stainless steel, which means it looks modern on the outside while being exceptionally strong. Our Pergola Wood, while having a wooden frame, is made out of Nordic wood, which is renowned for being durable and solid. As we mentioned, the PVC cover we use is waterproof and windproof. We’ve tested out the Tecnic Series pergolas in a wind tunnel with a simulated turbulence and wind speed of 90km/h. Whatever the weather, you can be sure our house pergolas will withstand it and protect your house. my home spatially and aesthetically? Whether your garden or patio is big or small, we offer pergolas as big as 13 by 7 metres. You can be sure they’ll protect you and your family completely. From the simplistic style of the Pergola Level to the naturalistic style of the Pergola Wood and the Modern style of our Pergola Opera, whatever architecture and style your house is, our pergolas will complement and enhance it. If you are still unsure, contact us – our skilled design team is ready to use the latest technologies to create a realistic mock-up that shows exactly how it looks with your house. We’ll make sure you’re a hundred percent happy before we start working on your house pergola.